As a professor of religious studies at the University of Colorado, Boulder, as well as through essays in many newspapers and websites, Ira Chernus has spent decades bringing the tradition of nonviolence to bear on concrete current events, particularly American and Israeli foreign policy. 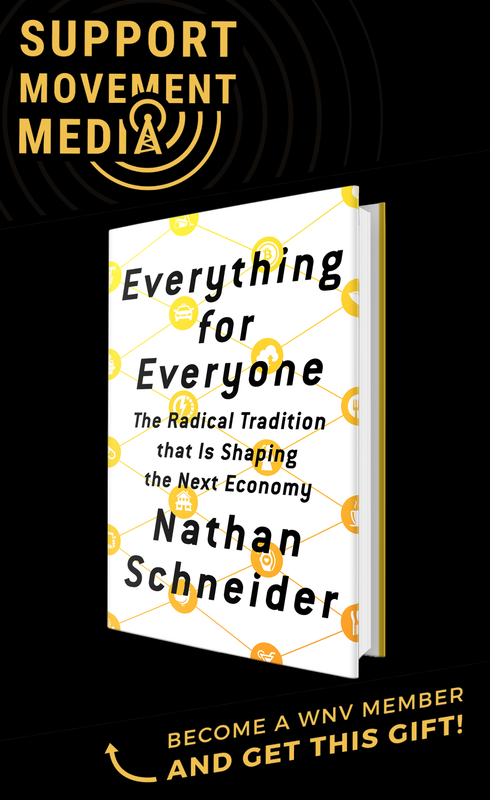 What drives him most of all, though, is his fascination with nonviolence as a profound intellectual tradition, and the passionate thinkers whose minds and imaginations inspire the more visible work of public, performative activism. On a recent trip to New York, Chernus took the time to talk with me about his work. He has written several books, but the one we discussed most of all is American Nonviolence: The History of an Idea, which is available in print through Orbis Books, as well as for free, in its entirety, on his website. 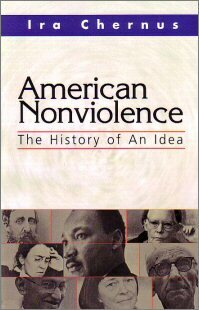 Culled from the lecture notes of the course on nonviolence he has been teaching for years, it is a definitive chronicle of the major thinkers who shaped the distinctly American lineage of nonviolence. Waging Nonviolence: Why did you decide to write American Nonviolence as an intellectual history of nonviolence, specifically, as opposed to a history of movements and actions? Ira Chernus: Part of the reason is just because that’s what I’m good at. If I’m good at anything, I’m good at ideas and being able to understand the underlying logic of a body of writing. Most of the major figures in the history of the nonviolence movement were not philosophers and certainly were not really theorists. They were leaders of movements that had to get jobs done. But in the course of their work, they offered a very, very rich body of ideas, but they didn’t lay them out systematically. Gandhi’s collected writings are, what, 93 volumes or something; he was writing at an incredibly rapid rate, and each thing he wrote was largely designed to meet the needs of a particular moment. He wasn’t thinking about laying out the overall intellectual architecture of his thought. He was not primarily a theorist. The same is true for Martin Luther King, Dorothy Day, William Lloyd Garrison, and any of the great leaders in the movement. But, as I read their work, I found that there was a very rich underlying intellectual structure there, and I believe—and maybe it’s just a leap of faith—that one of the things any successful movement needs is a strong intellectual structure. For more, listen to the interview above. Wonderful interview, so many good reminders in there, like loving your enemies and not judging the work of nonviolence by the immediate results you see around you. Man I wish I could take his “Intellectual History of the 60s” course. That would be FASCINATING. I’ve read Dr. Chernus’ book — don’t be put off that it’s used as a textbook. It’s highly readable and engaging, perhaps the clearest outline of Martin Luther King’s contributions anywhere, and great stuff on the early history of the movement. Nice that he and his publisher make it available online, I have a hard copy though which I find more enjoyable to read.